To use an old cliché, if you have not heard about the capture and assassination of terrorist and al Qaeda leader Osama bin Laden by now, you must be living under a rock. The news is arguably the biggest positive political headline in decades. While it is just the murder of one terrorist, bin Laden was the biggest, most dangerous terrorist of them all and the man responsible for some of the deadliest terrorist attacks of the last two decades. 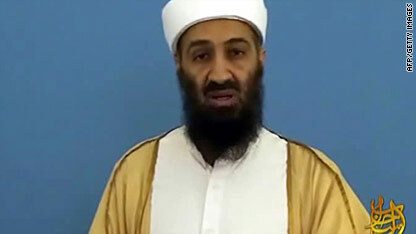 Obama has a lot to be proud of when it comes to the final extermination of bin Laden. On the heels of possibly the biggest event of Obama’s first term as President of the United States of America, the Head of State spoke with CBS’ “60 Minutes” for a Sunday interview. President Obama said that the forty minutes he was in the White House Situation Room keeping track of the raid were the longest of his life. He said that he had not felt that anxious since his daughter was severely sick at a tender three months old. According to the President, even his family had no idea that the mission was underway. Obama then spoke of how it is very likely that bin Laden was in fact being supported by at least some officials within Pakistan. He said it is not clear if those supporters were a part of the government or not.